All SAR satellites orbit the Earth on a near-polar orbit at an altitude ranging from 500 to 800 km above the Earth’s surface. 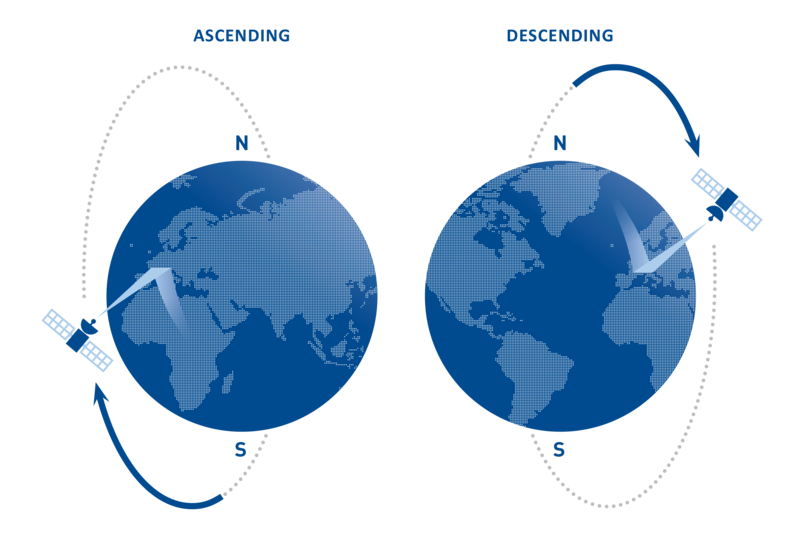 The time taken for a satellite to re-pass over the same area is called the ‘revisiting time’. Since the launch of ERS satellites in 1992, numerous satellites have been orbiting the Earth, providing higher resolution images, faster repeat times and data redundancy for many parts of the world. Synthetic Aperture Radar (SAR) satellites acquire images of the Earth’s surface by emitting electromagnetic waves and analysing the reflected signals. All SAR satellites travel from the north pole towards the south pole for half of their trajectory (descending orbit) and from the south towards the north pole for the other half (ascending orbit). As a consequence, the same area of interest is revisited along the two orbits with ascending and descending imageries collected over it through time. Each SAR image incorporates two fundamental properties: phase and amplitude. 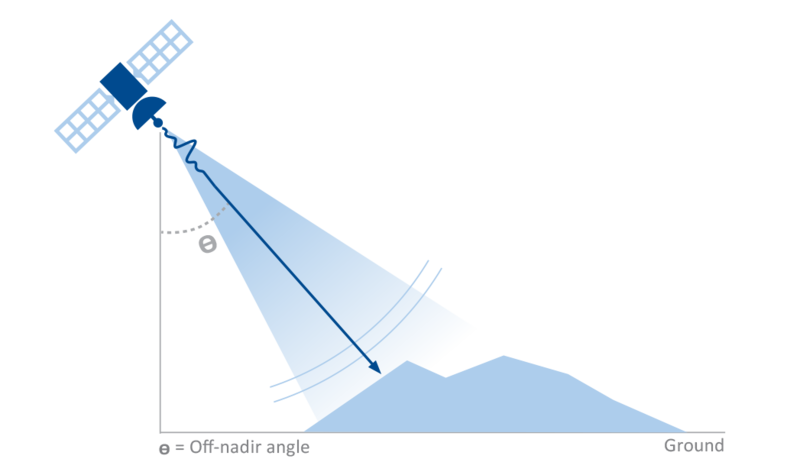 The phase contains information about the sensor-to-target distance that is used in interferometric applications (InSAR or SAR Interferometry) to measure ground surface motion over time. The amplitude is related to the energy of the backscattered signal and it is used in speckle/pixel tracking applications and ground change detection. No ground equipment is needed. SAR satellites detect targets already existing on the ground (e.g. buildings, linear structures, rocky outcrops, uncultivated lands, debris, etc.) and register their backscattered signals. By exploiting both the phase and amplitude properties of SAR imagery, TRE ALTAMIRA has developed different techniques to extract surface displacement measurements and to detect information about surface characteristics and variations. 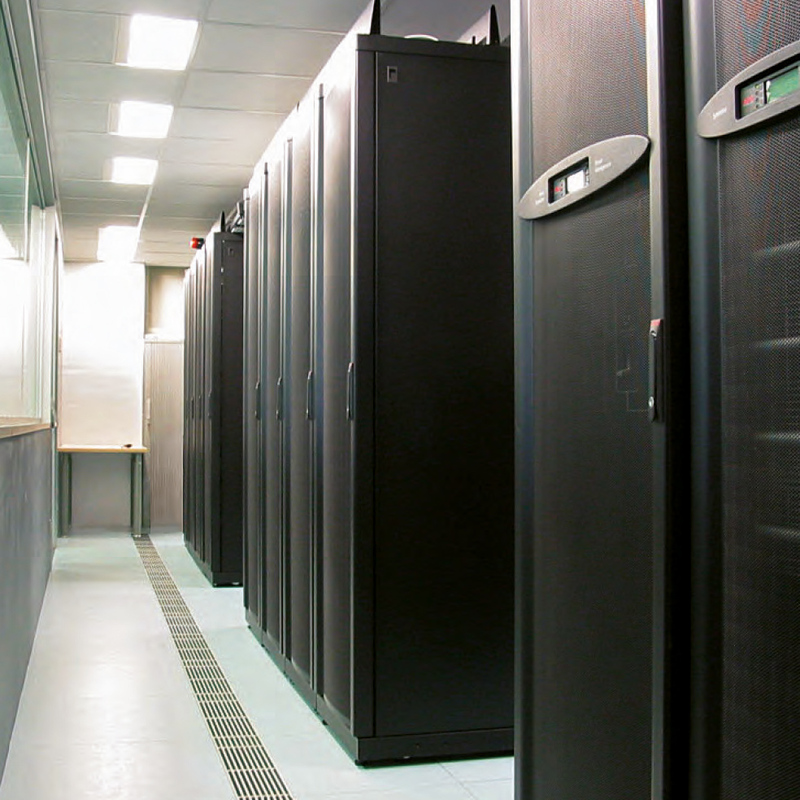 We have an in-house data centre, designed to cope with the high demand of SAR imagery processing and storage. The architecture consists of a Linux-based parallel processing system, made up of approximately 100 servers and 276 cores for data processing and 10 CPUs for interactive session management. The system also has a storage capacity of 200 TByte accessed via a high-performance parallel file system.